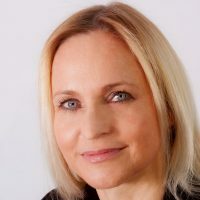 Ramona Lange is a consultant, project manager, coach and author. She has been designing and implementing jumpp projects since 2007 and advises on the topic of self-employment in all phases, from orientation to growth. As the Hessian regional manager of the nationwide agency for female founders, which is affiliated to the founders’ portal of the Federal Ministry of Economic Affairs and Energy (BMWi), she lobbies politicians on behalf of the association. In 2012, Ms. Lange published a book called “Female Boss Wanted!”. It provides information and support for women who are preparing for their independence and self-employment. Her passions are future trends, developments and strategies. She creates social change and promotes equal opportunities, as well as co-creation and participation. In the last year, she started a 3-year-pilot-project for female refugees at jumpp. This is based on the experiences from a preceding project for female migrants that she implemented in 2015 and 2016. The past and the present program both include mentorship, entrepreneurship education, hard & soft skills, networking and events. Both projects are/were funded by the The Federal Ministry for Family Affairs, Senior Citizens, Women and Youth and monitored and evaluated by the Institute for SME Research and Entrepreneurship (IFM) at the University of Mannheim. In the course of this collaboration, the partners prepared a handbook with guidelines and practice-orientated suggestions that helped transfer the knowledge & experience in a local, national and international context. The currect project for female refugees received the nationwide “Wirkt! Siegel” certification by Phineo in 2018, which confirms that the programme is sustainable and effective. The concept of the female migrants and refugees project and some of its participants were even included as best practice examples in the UN publication “Policy Guide on Entrepreneurship for Migrants and Refugees” (Oct 2018).